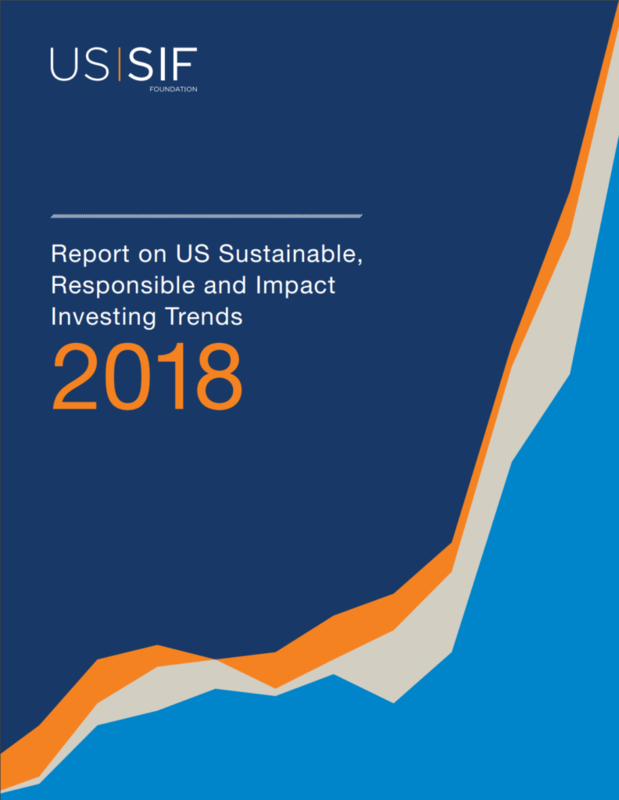 WASHINGTON, D.C., Oct. 31 – The US SIF Foundation’s 2018 biennial Report on US Sustainable, Responsible and Impact Investing Trends,released today, found that sustainable, responsible and impact investing (SRI) assets now account for $12.0 trillion—or one in four dollars—of the $46.6 trillion in total assets under professional management in the United States. This represents a 38 percent increase over 2016. “Money managers and institutions are utilizing ESG criteria and shareholder engagement to address a plethora of issues including climate change, diversity, human rights, weapons and political spending,” said Lisa Woll, US SIF Foundation CEO. Additionally, retail and high net worth individuals are increasingly utilizing this investment approach with $3 trillion in sustainable assets. For additional Trends Report findings and information please visit www.ussif.org/trends.